Fans taking in the 100th Grey Cup Fesitival won’t want to miss the TigerTown Wrecker’s Ball, the Tiger-Cats party located inside the Metro Toronto Convention Centre (Hall F, Level 800, South Building) on Friday, November 23 and Saturday, November 24. This year’s party will be the biggest and best bash to date, boasting 25,000 square feet of live music, stadium-like atmosphere, performances from CFL cheerleaders, Pigskin Pete and more. The latest Ticats merchandise will also be available on site. Bands hitting the TigerTown stage, located in the centre of the room, include Hamilton’s Life of Riley, the Dave Rave Band, seven-piece ska band Small Town Get Up, perennial crowd-pleasers Two For the Show and Pogey, who will bring their fiery east coast sound all the way from Nova Scotia. 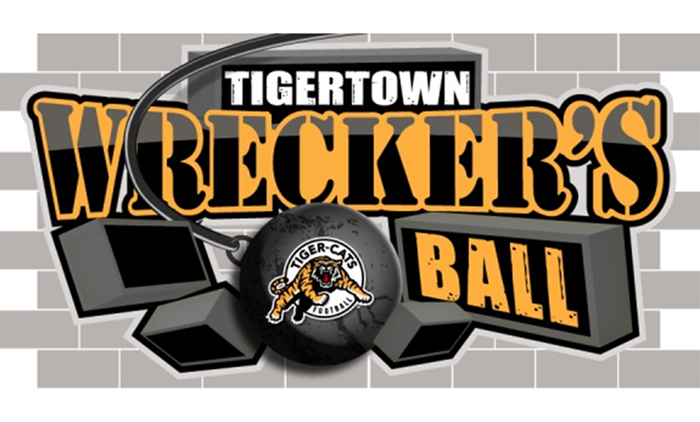 To purchase your Wrecker’s Ball tickets, contact a Ticats ticket rep at 905-547-2287.